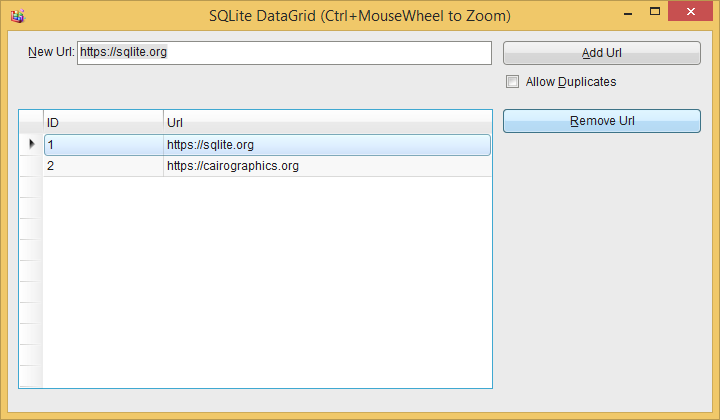 SQLite - Windows app to read SQLite DB, and launch web browser when dbl-clicking a record? Windows app to read SQLite DB, and launch web browser when dbl-clicking a record? page for validation before deleting the record. I double click on a column that contains a hyperlink. Re: Windows app to read SQLite DB, and launch web browser when dbl-clicking a record? have any knowledge of how to treat a field as a URL/URI. HTML file you can bring up in your browser. > page for validation before deleting the record. > I double click on a column that contains a hyperlink. I suppose you COULD get rid of the \n in the query.... Its a Linux thing. > have any knowledge of how to treat a field as a URL/URI. > HTML file you can bring up in your browser. >> page for validation before deleting the record. >> I double click on a column that contains a hyperlink. >> to support this feature. to create a new GUI for the purpose stated. The other response on creating a HTML file seems quicker. > each page for validation before deleting the record. > when I double click on a column that contains a hyperlink. > that can do this? using VBScript (*.vbs Files), which are supported on all current Win-OS. and already includes all the needed libs in a \Bin\-SubDirectory. The tool allows after unzipping, a development "right-out-of-the-box"
and the frameworks size is comparably small (about 3MB zipped). And here one of the running *.vbs-App from the "enhanced version"
Classes are contained as *.chm in the Zips \Doc\ Subdirectory. 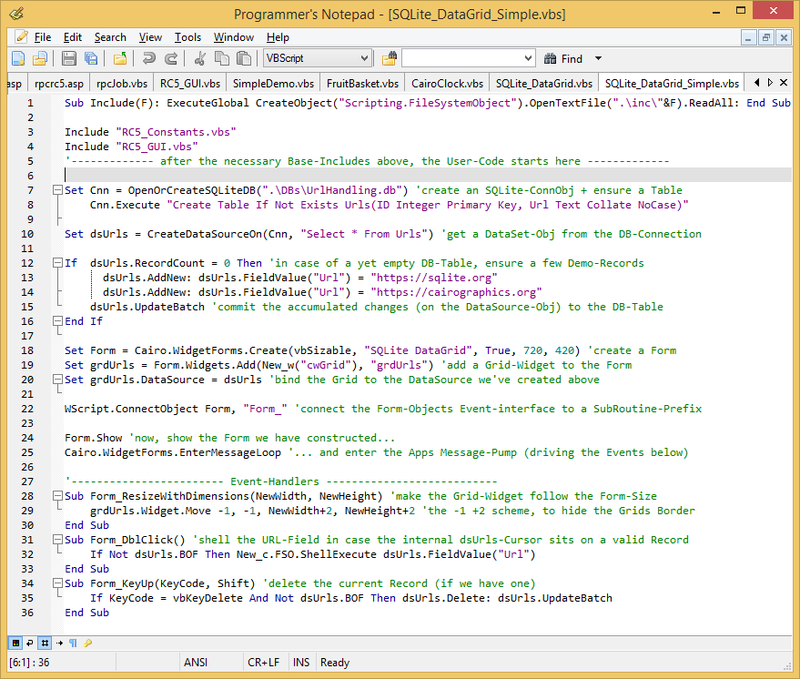 SQLite's closest thing to a native scripting language is Tcl, with a Tk graphical toolkit. If you write your app in Tcl/Tk it will run on Windows, Mac, and UNIX.